How about Butler moving on to the Final Four after beating Kansas State 63 to 56, we have to admit we didn't see this coming. We had Butler loosing very early in our bracket despite their long winning streak heading into the tournament. Our thought process was that we didn't think Butler was playing very good competition this year as their league was down, and despite the fact they were winning it wasn't always pretty. Despite Butler's play so far during March Madness we still thought Kansas State would win with their tough defense and clutch shooting but it didn't happen but Gordon Hayward scored 22 points for Butler and they played the great defense instead of K State. How far is Butler playing from their campus in the Final Four, only 5 miles, all we can say is look out to the other Final Four teams. 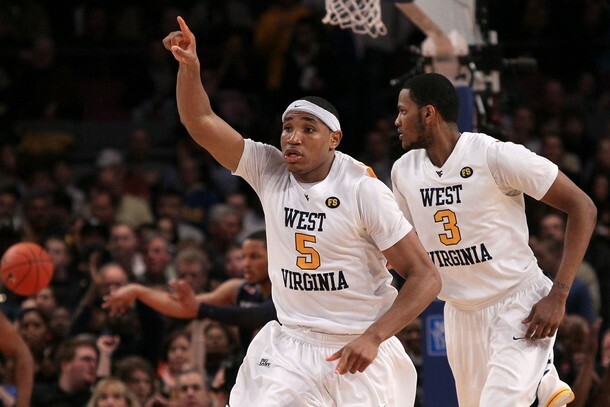 West Virginia beat Kentucky and we saw this coming all the way, we really like this Mountaineers squad with coach Huggins coaching his alma mater. Kentucky was off with their shooting which helped, in fact Kentucky missed 38 three point shots in a row between the Cornell and West Virginia games. If we could change our bracket we would have West Virginia winning it all in their first Final Four appearance since Jerry West took them their in 1959.